*Wheat bran fibre is a superior fibre in relation to its efficacy in accelerating intestinal transit and has the most scientific evidence, 10g wheat bran fibre daily contributes to acceleration of intestinal transit. 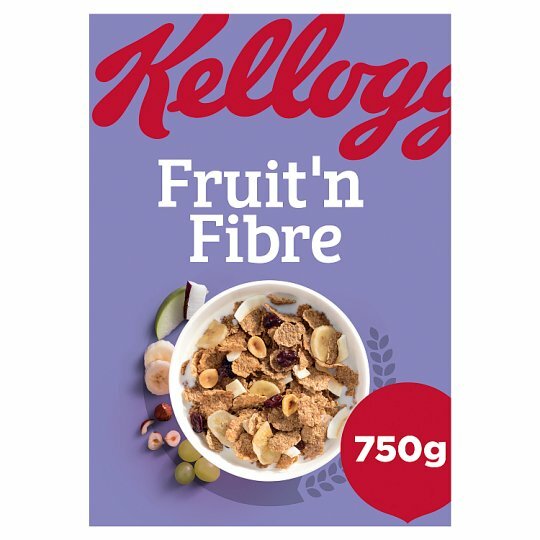 Fruit 'n Fibre contains 2.8g per serving. Store in a cool, dry place., Best before: see top.